I have always struggled and always had very dry, dull hair. Finding the perfect shampoos, conditioner or hairs masks has always been – and still is – a mission. Yet, I am starting to find several products that have actually been helping a lot with my split ends and helping my hair be a bit more smooth and sleek, specially when I straighten it. Having an hair brush that doesn’t damage your hair for me is key. 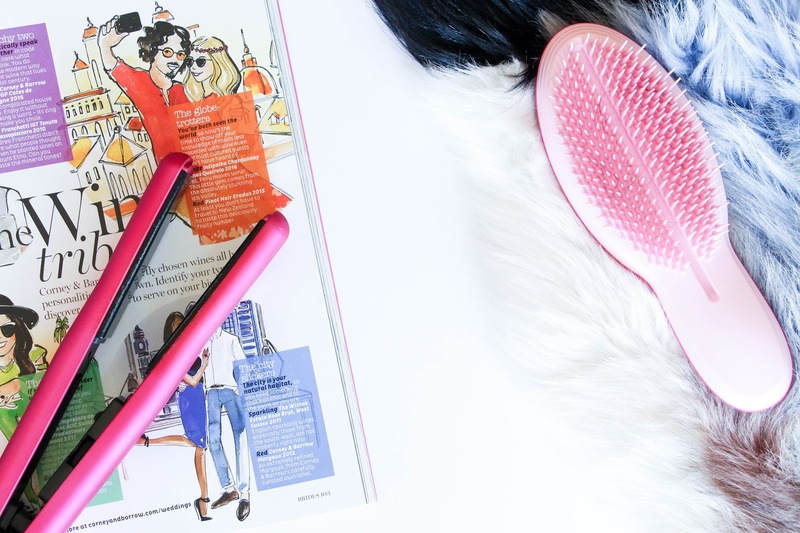 My hair is very messy and gets so tangled that it is really hard to brush it and my life has definitely changed every since I found the Tangle Teezer. It is so much easier now to brush my hair and actually keep most of it in my head! Sometimes I used to have a few handfuls of hair that would fall as I brushed my hair. Totally annoying and so bad. With this brush it doesn’t happen and this was the first and biggest step for a good change on my hair. 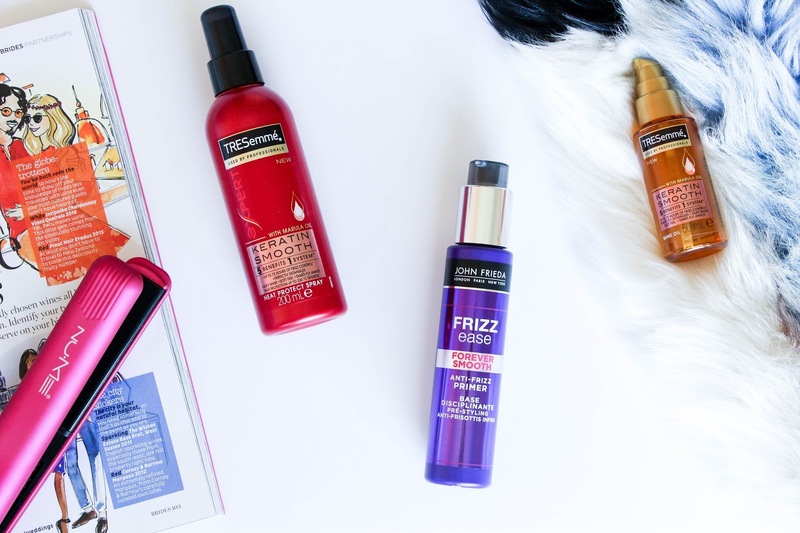 When it comes to hair products, I can’t tell you how many different ones I tried but the most recent find – and favourite one that I will actually stick to – is from John Frieda. I have been trying the John Frieda Frizz Ease Forever Smooth Shampoo and Conditioner and I am in love now. I could tell a difference in my hair since the first application. The other product from this range that I can’t live without is the Frizz Ease Forever Smooth AntiFrizz Primer. I apply this after I washed and towel dried my hair and it does wonders. Split ends are less and less more noticeable as you use this product and your hair is definitely smoother. I am sure I will repurchase all these three products as I know they do an amazing job and my hair definitely feels smoother. To straightening my hair, I use my NuMe Fashionista Professiona Flat Iron that I absolutely adore (read review here) and I tend to add a couple of more products just because I like to be a bit extra and also because my hair is extremely hard to straighten perfectly. So to help me with that I bought the TRESemmé Keratin Smooth Heat Protection Shine Spray and also the Keratin Smooth Shine Oil. Both these products can be applied on dry or wet/damp hair just previous to straightening it for a sleek and smooth result. They both smell amazing and do work so, so good! My hair straightens much easier and lasts a lot longer as it used to frizz easily. With these two products, I guarantee you that you will get a perfectly straight hair. This does look like a lot of steps and it probably is. On a day that I want to wash and then straighten my hair, I need to shampoo, conditioner and then apply three more products but it is so worth it. It is worth it because I know that the result will be very close to perfect and will last more than half an hour! 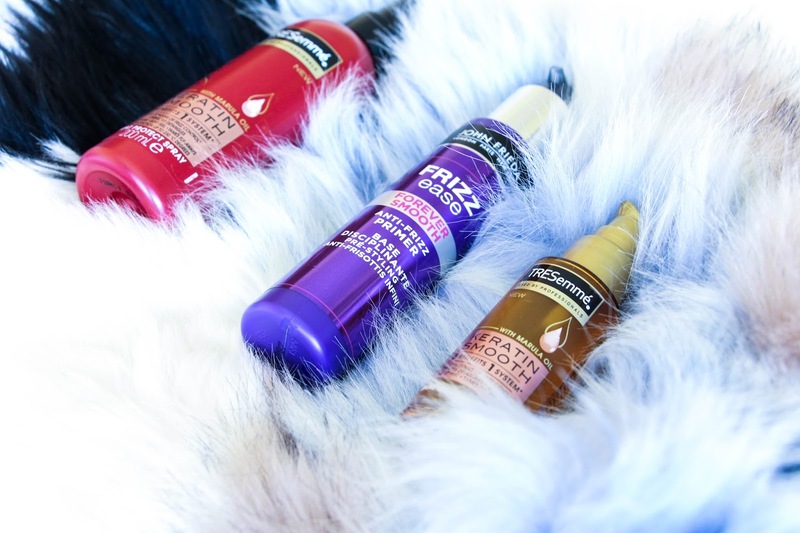 These products have not only helped my hair to look a lot smoother when it just used to look dry but it also brought much more life and shine to it. Absolutely recommend them and they are actually pretty affordable. What other products do you recommend to help with dry, dull hair and split ends?